The importance of adding black pepper (piperine) to your turmeric. One study found that when even 2g of curcumin (turmeric), was ingested, its serum levels were very low. However, when 20mg piperine was added to curcumin the bioavailability increased by 2000%. I tried the smoothie with both organic whole milk and coconut milk and I liked both versions. If you are allergic to dairy, try the coconut milk. This smoothie also contains bananas and blanched almonds, the perfect ingredients that fill us and keep us satisfied until our next meal. The only problem with adding turmeric powder to smoothies is the sharp flavor of turmeric, especially if you are adding more than a few pinches. Some people don't mind the flavor, but if it is keeping you from making turmeric smoothies, the best solution is to boil the milk with turmeric powder for a few minutes to cut the sharpness, let it cool, and then make the smoothie. Boiling milk with turmeric powder takes away the flavor and smell that most people dislike. During the summer, when the mangoes are in season, you can substitute mangoes for the bananas and make a mango turmeric smoothie. In fact, you can substitute bananas with any one of your favorite fruits. Regular consumption of this turmeric smoothie may help purify your blood and keep your digestion in peak order. Soak almonds in water for a few hours and remove the skin. Boil the milk along with turmeric powder for a few minutes and let it cool. You can also use the turmeric powder directly, if you donäó»t mind the flavor and smell. In a blender, first blend the blanched almonds along with little bit of the cooled milk until you get a smooth paste. Add in the ripe banana, honey, cinnamon powder, the rest of the milk, and vanilla. Blend until you get a smooth mixture. Enjoy! Make sure to grind the blanched almonds well, before adding the rest of the ingredients. You can leave out the cinnamon powder, if you donäó»t like the smell of cinnamon.I tried the smoothie with both organic whole milk and coconut milk and I liked both versions. If you are allergic to dairy, try the coconut milk. This smoothie also contains bananas and blanched almonds, the perfect ingredients that fill us and keep us satisfied until our next meal.The only problem with adding turmeric powder to smoothies is the sharp flavor of turmeric, especially if you are adding more than a few pinches. Some people donäó»t mind the flavor, but if it is keeping you from making turmeric smoothies, the best solution is to boil the milk with turmeric powder for a few minutes to cut the sharpness, let it cool, and then make the smoothie. Boiling milk with turmeric powder takes away the flavor and smell that most people dislike. During the summer, when the mangoes are in season, you can substitute mangoes for the bananas and make a mango turmeric smoothie. In fact, you can substitute bananas with any one of your favorite fruits. Regular consumption of this turmeric smoothie may help purify your blood and keep your digestion in peak order. Boosting Immunity: Curcumin has a huge therapeutic value and boosting immunity is one of the most important properties of curcumin. 5 to 8 times stronger than vitamin E and stronger than vitamin C, this antioxidant breakthrough may help boost your immunity, maintain normal cholesterol levels, and put the brakes on ageing? says Dr. Joseph Mercola. Anti-inflammatory and Anti-oxidant Property äóñ Free radical causing oxidative damage of DNA and proteins are associated with a variety of chronic diseases such as cancer, atherosclerosis, and neurodegenerative diseases. 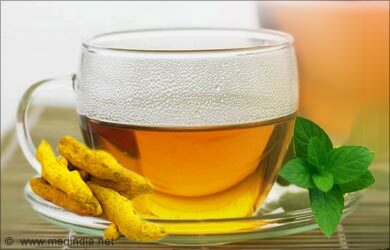 Curcumin plays an important role in curbing these conditions. Curcumin down-regulates certain inflammatory transcription factors such as kappaB, enzymes such as cyclooxygenase 2 and 5 lipoxygenase, and cytokines such as tumor necrosis factor (TNF), interleukin-1 (IL-1) and interleukin 6 (IL-6) and hinders the development of these diseases. 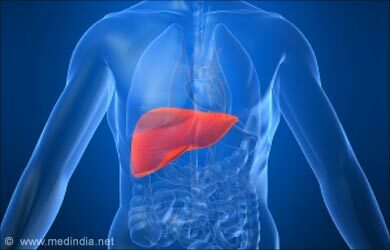 Curcumin Protects Against Certain Liver Diseases as is evident from various studies conducted in rats. For example, a Mexican study showed that curcumin prevents acute liver damage by at least two mechanisms: acting as an antioxidant and by inhibiting NF-kappaB activation and thus production of proinflammatory cytokines. Another study published in the Fundamental & Clinical Pharmacology journal revealed that curcumin was effective in preventing and reversing cirrhosis, probably by its ability of reducing TGF-beta expression. These data suggest that curcumin might be an effective antifibrotic and fibrolytic drug in the treatment of chronic hepatic diseases. Curcumin Prevents the Development of Type 2 Diabetes in people who have prediabetes. This has been shown in a Thai study published in the journal Diabetes Care where the researchers found that people with prediabetes who took capsules containing curcumin were less likely to go on to develop type 2 diabetes compared with people who didn't take the curcumin capsules. The reason, says Drew Tortoriello, an endocrinologist and research scientist at the Naomi Berrie Diabetes Center at Columbia University Medical Center, is that turmeric lessens insulin resistance and prevents type2 diabetes. Curcumin, however, is not readily bioavailable; it makes sense to regularly add turmeric powder to the food even for people who are not prediabetic. Curcumin Helps Promote Weight Loss and reduce the incidence of obesity-related diseases. The inflammation associated with obesity is due in part to the presence of immune cells called macrophages in fat tissues throughout the body. These cells produce cytokines that can cause inflammation in organs such as the heart, and islets of the pancreas, while also increasing insulin resistance in muscle and liver. Scientists believe that turmeric suppresses the number and activity of these cells, and help reduce some of the adverse consequences of obesity. 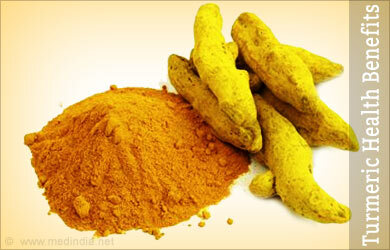 Turmeric powder is an effective home remedy for chronic cough and cold and throat irritations. Alzheimers disease, according to a study published in the Annals of Indian Academy of Neurology. 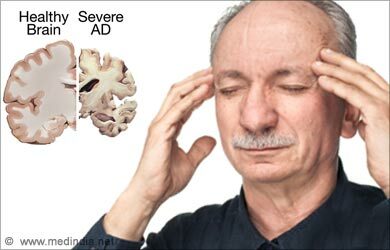 Alzheimer's disease is a neurodegenerative disease characterized by progressive cognitive deterioration together with declining activities of daily living and behavioral changes. Various effects of curcumin, such as decreased Beta-amyloid plaques, delayed degradation of neurons, metal-chelation, anti-inflammatory, and antioxidant property, improve overall memory in Alzheimers patients. Apart from therapeutic uses, turmeric is also used as an important spice, in beauty products and in spiritual ceremonies. Turmeric is safe and without side effects when used optimally. People with turmeric sensitivity can have mild stomach upset or diarrhea. Take a bowl and add all the ingredients, except the honey. Mix them well. After that, pour the mixture into a saucepan and heat until it starts to bowl. Cook on low heat for 5 minutes. Let it cool a little bit, add the honey and drink while it iss still warm. Your drink is ready! 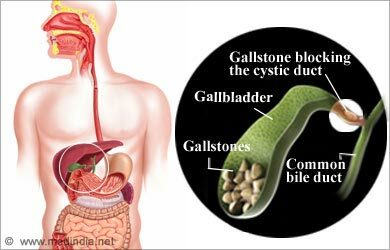 The drink is very simple to prepare it and solves many problems with stomach, bad breath. We recommend you to drink it one hour before you go to sleep, and you will wake up refreshed and full with energy!